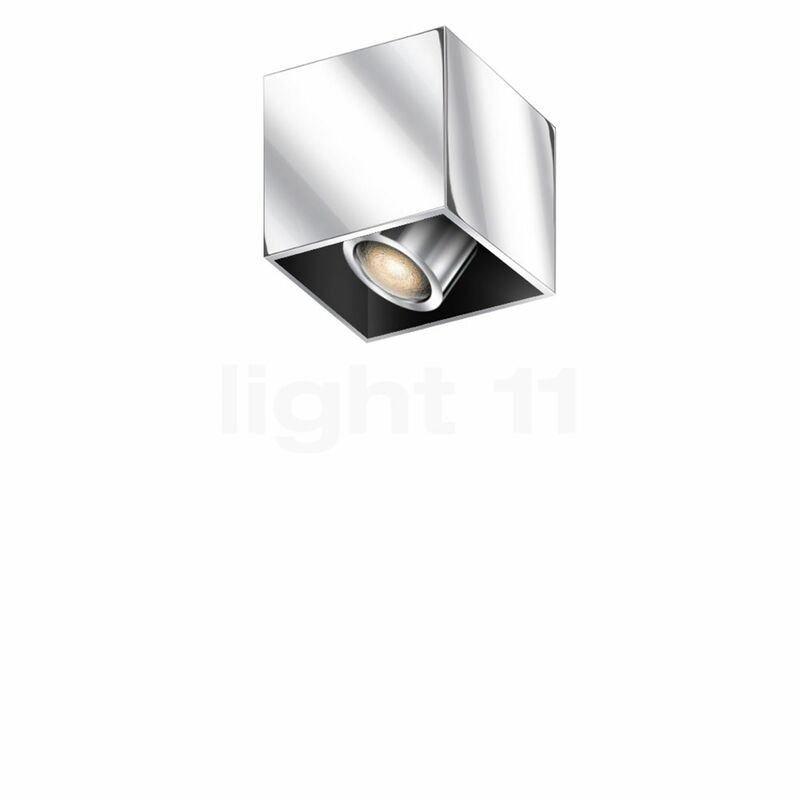 The casing of the Bruck Cranny Spot Mono LED is manufactured from high-quality aluminium. Thanks to its minimalist design, the luminaire easily blends with the ceiling. With a side length of 10 cm each, the Cranny Spot Mono LED is characterised by perfect symmetry. For this, the ceiling lamp by Bruck is a highly popular light fixture. Clemens Tropp designed the Cranny Spot LED Mono PD C Surface mounted spotlights for the manufacturer Bruck. Thanks to its minimalist design, the spotlight matches nearly every ceiling. The light emitted is generated by an energy-efficient LED module. The Cranny Spot Mono LED by the German quality manufacturer Bruck is exceptional when it comes to the colour rendering ability of LEDs. The integrated LEDs have a colour rendering value of CRI=97, which means that there is no more visible difference between LEDs and conventional halogen lamps. Thanks to a high-quality glass lens, their light can be precisely adjusted as desired. At the same time, the light beam keeps its soft edges. In this way, the Bruck Cranny Spot Mono LED produces outstanding zone light. Besides its brilliant colour rendering and needs-oriented adjustability, the Bruck Cranny Spot Mono LED impresses with the luminous efficacy of its LEDs. The integrated lamps produce a luminous flux equal to a classic 75 watts incandescent lamp consuming only a fraction of the energy. This turns the Bruck luminaire into a particularly economical and environmentally-friendly lighting solution. Tell other customers and us about your experiences with the Cranny Spot Mono LED ! The Bruck Cranny Spot Mono LED functions as a convenient zone light for counters in the kitchen. There, it assists you with preparing meals by means of its excellent colour rendering ability. Furthermore, the ceiling light produces enough light to illuminate a small hallway. 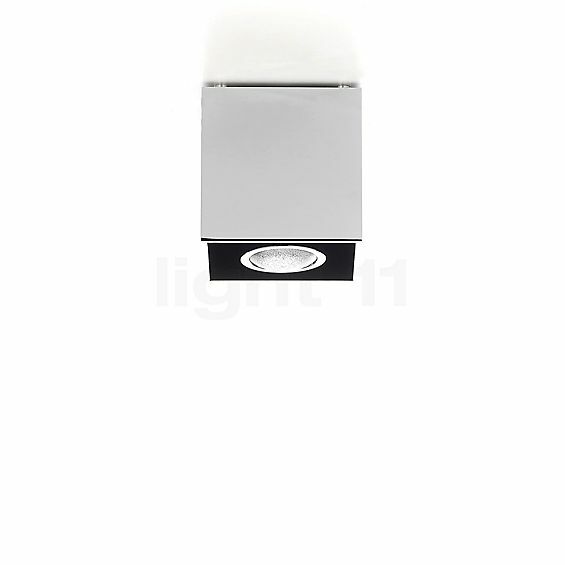 With its warm-white light, the surface mounted spot light creates an inviting atmosphere that makes guests and visitors immediately feel welcome. Installed above a mirror, the brilliant colour rendering provides for perfect lighting conditions for checking your outfit and makeup. Naturally, the Cranny Spot Mono LED by Bruck also offers the same functions as a conventional surface mounted spot light: it suffuses pieces of furniture, such as cupboards, shelves and chests of drawers with bright zone light and thereby accentuates them.